eigochan is Point-based Online English, Japanese, Mandarin Language School. $3 per lesson! 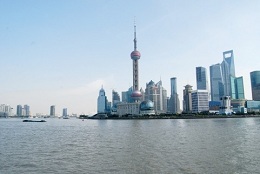 Point-based Online English, Japanese and Chinese (Mandarin) Language School for everyone! 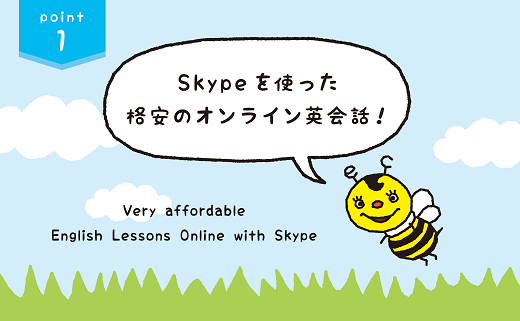 eigochan is affordable (just $3 per lesson), high quality point-based online English, Japanese and Chinese (Mandarin) language school for everyone! Callan Method is very effective for learning English intended for beginners to intermediate level. The method has been used by big corporations like IBM, Fiat, and other global companies to teach English to their staffs. Teacher's speaking speed is a little faster as compared to the norm. Vocabularies and conversations are also repeated. With Callan Method, the student can learn pronunciation, vocabularies, and practice listening skills naturally without the students need to do much study and review. However Callan Method does not teach the standard grammar and expressions, so it is necessary to balance and study both using Callan Method and normal standard English lessons. 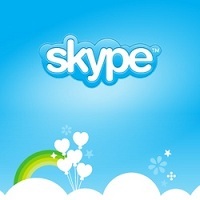 eigochan is a site that provides online English, Japanese and Chinese language learning services via Skype. When you register, you will receive a 25-minute free trial lesson so what are you waiting for, register now! Just $3 per lesson. Point system (unlike monthly subscriptions) means there is no waste. Study at your own pace! NO hurry because students choose and reserve the lesson at their own pace and preferred schedule! NO waste of money because our service is not subscription based, you buy points only when you need them. As a non-subscription based service, we can say that we offer the most affordable service without compromising the quality. 1 lesson just costs $3. You can easily take lessons during your spare times. Students may reserve lessons at least 4 hour(s) before the actual lesson start time, and may cancel the lesson at least 1 hour(s) before the actual lesson start time. When making a reservation, you can choose ahead of time the topics you want to study like [Children's English], [Travel English], [Business English], [TOEIC], [TOEFL], [Daily Conversation] and more. The lesson will be done according to the topic/textbook you have chosen. Receive comments and evaluations from your teacher. Grades and ability chart will motivate you to learn more. 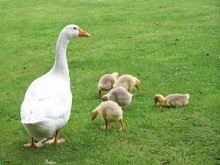 You will receive grades and evaluation from the teacher after each lesson. You will also see a graphical representation of your language abilities like [pronunciation], [listening], [understanding], [writing], [reading] after taking 5 lessons. 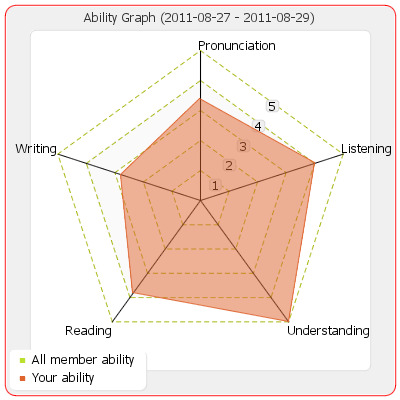 Since you can trace your abilities graphically, it will give you more motivation to learn the language. ESL for the whole family. Share points with family! Age does not matter, everyone who want to [learn English], [Communicate with people from other countries] can use eigochan service and we will support your learning. You may share the points with the whole family. 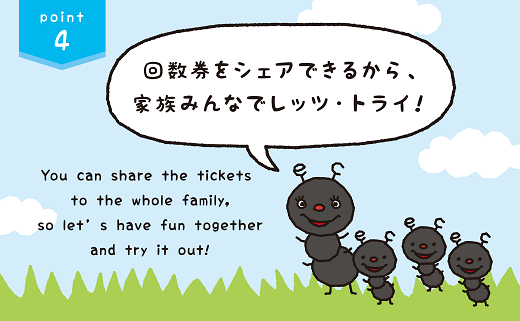 Parents, children, whole family, let's have fun communicating with different countries! 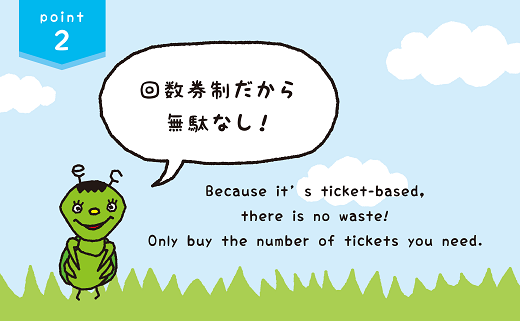 eigochan　is a word combination of [eigo] and [chance] in Japanese which means [English chance] for everyone. There were requests from students that they would also want to study Japanese and Chinese (Mandarin) so we decided to include Japanese and Chinese language conversation. Students can study English, Japanese and Chinese using the same points (no need to buy points for each language you want to learn). For those who want to learn simple Japanese/Chinese conversation for traveling or doing business with Japan/China, eigochan services can help you with it. Check your statistics visually! 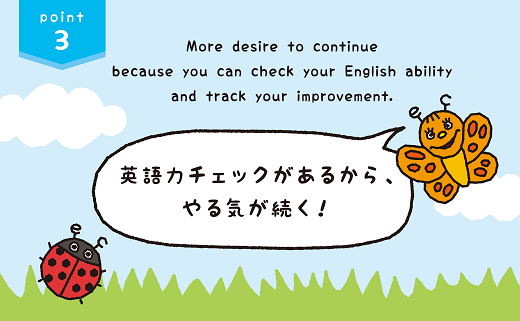 Stats can help you track your improvement and how much time you have been studying with eigochan. 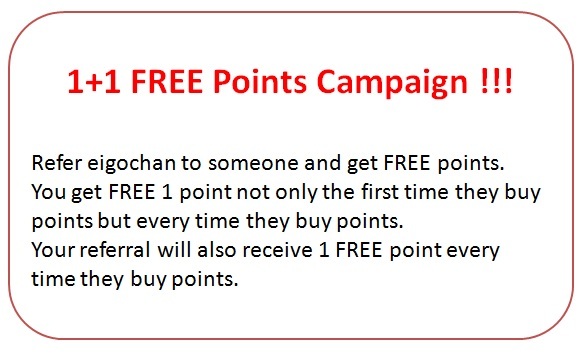 Earn FREE points by introducing eigochan. The person you referred will also earn FREE point. Copyright © 2011 Online point-based English, Japanese, Mandarin Language School - eigochan (eigochan), Ltd. All rights reserved.